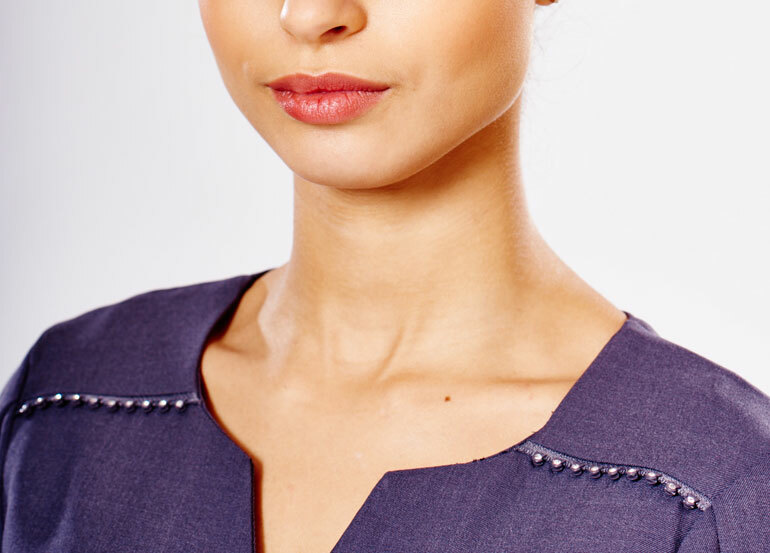 Karla boasts an open notch neckline for a fuss free statement while the diamante feature on the shoulders adds a touch of sparkle. 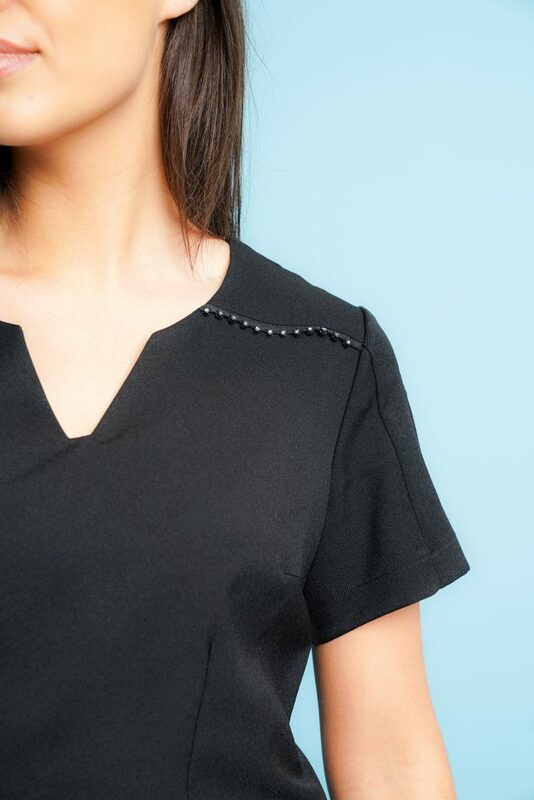 The zip is neatly tucked away on the back so it doesn’t steal focus from the chic front detailing. 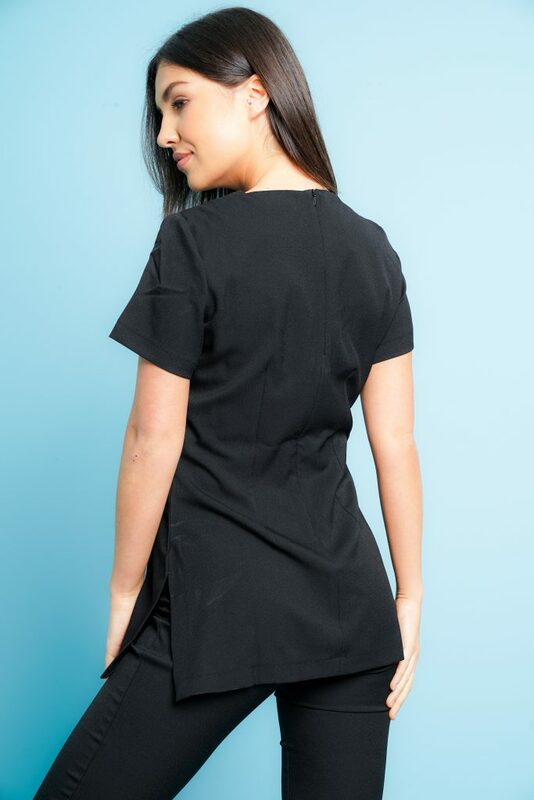 This beauty tunic is produced from 100% soft twill polyester.